Ermolande Jean-Simon is the student program manager for the New England Center for Investigative Reporting at Boston University. She previously worked as the communication coordinator for Safe and Sound Schools, a non-profit organization founded by two of the Sandy Hook mothers. Before entering the communications industry, Ermolande spent 14 years in public service as a child protective worker. After telling many of the foster kids to follow their dreams, she decided to follow her own dream by enrolling at Boston University’s College of Communication (COM) where she received her Masters in public relations. Ermolande was a BU PRSSA member and joined the PRSA Boston to network, learn more about public relations and prepare students and young professionals to enter the industry. Her passion is to address diversity and inclusion issues in the communication and entertainment industry and works closely with COM by reaching out to and encouraging students of color to continue their journey. 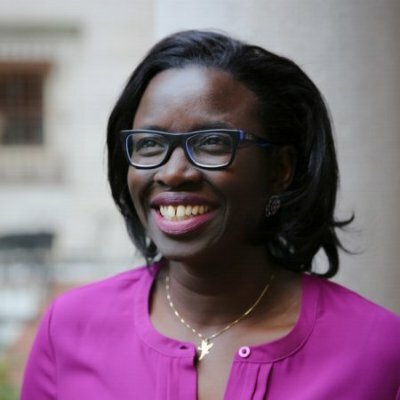 PRSA Boston recently spoke with Ermolande to get her thoughts about the lack of diversity in public relations industry in Boston. Q: What is the current landscape of diversity in the public relations industry in Boston right now? How do you currently see it? A: Non-existent. I say this because I graduated with my master’s almost three years ago. Since then, maybe one or two top PR firms in Boston have at least one person of color on their staff and only one agency has a person of color on their senior staff. It’s 2018. I would expect these numbers to be a little bit higher. Q: What is it like to be a minority in PR in Boston? A: Challenging. When I graduated, it was hard finding a job in Boston. I remember contacting people that my professors would tell me to reach out to. I vividly recall one of my professors emailing an introduction to someone at a PR firm that aligned with my interests at the time. I noticed that two people from that firm looked at my LinkedIn page, but never bothered to respond to my follow up email for an informational interview. It was at that moment, I knew that I was an outsider. After this moment, I took a closer look at agencies in Boston, and realized that 98 percent of the Boston PR agencies and firms did not have a person of color on their staff. I didn’t understand. How can you have big accounts serving diverse communities but not have a diverse team for staff and leadership? I gave up my hopes of working at an agency and put my sights on non-profit PR and marketing. I felt that this space is more receptive towards diversity, as well as helping me strengthen my PR and marketing skills on a personal and professional level. On top of that, I think I have the best bosses and amazing co-workers who are not trying to blend in, but make a difference in the world. Q: What challenges does the PR industry in Boston face with diversity? A: Recently, I watched a PRWeek video on “What it’s like to be black in PR.” One of the people interviewed was Andrew McCaskill, Nielsen’s Senior Vice President of global comms and multicultural marketing. He said that when he first started, he was the only person of color on staff, and 20 years later, things still look the same in the PR industry. Fortune.com also published an article Why is public relations so white where a Caucasian woman said that management only hires what they are comfortable with. Just a couple of months ago, The Boston Globe Spotlight team shed some light on racism in Boston. I was taught that part of our job as public relations professionals is to conduct an audit of our companies and tell them how to be authentic, honest and transparent with our customers. But how can we do that if we cannot do this for ourselves? Why can’t we have an authentic, honest and transparent conversation about diversity in public relations? Every Black History Month, I read the articles, but I see no action. To create diversity, you have to genuinely want it and be about it. Right now, I feel that the PR industry in Boston doesn’t want it or want to address it. It doesn’t impact their bottom line or ROI. No one is holding them accountable to have diversity in their teams so why bother? And when you live in a city that doesn’t practice diversity, it makes it really easy to do what is average instead of being extraordinary. Q: How can PR in Boston improve its diversity? Q: What do you hope for the future in the industry? A: When you look at the state of our country, read stories about how communities and families are divided, and top companies struggle to implement diversity and equality in their goals, it makes you wonder what the future holds. But I’m hopeful. I believe that there are some good people out there who want to see a change in the world. What better way to do it but work behind the scenes and become a PR pro. We are the storytellers and the change-makers of this world and we should always use our superpowers to do good. PRSA’s National Chair Anthony D’Angelo, APR, Fellow PRSA also feels unsatisfied with the state of diversity and inclusion in PR. Read his thoughts HERE.